Last week I spent time with poets and writers, both published and unpublished, on a writing course run by the ever generous Jan Fortune of Cinnamon Press. We stayed in the wilds of Snowdonia at Pete the Poet’s place and did not have internet access, which is my excuse for the absence of blog spots. I fell in love with two poems especially, and perhaps the poets too. KateThomas who wrote about her mother and, I guess, struck a chord, and Pete (the poet) Marshall. I know Pete as a performance poet, and very funny he is too. He can also be moving. When we ventured into the hills he read some of his poems inspired by the view. It was almost like listening to music: the more familiar a piece the more affecting. ‘I didn’t know you were a writer,’ Nedu said, having seen an article in the local Cambrian News. Nedu nodded appreciatively. If ever a place had ghosts, or was evocative, it is the sub medieval house, a Snowdonia house, in the lee of Moelfre above Dyffryn Ardudwy where he grew up – especially when it’s misty. The tales Nedu told us of his childhood in the house had us alternately laughing like drains, or with our hair on end. His were the hilarious and hair raising exploits that inspired the story. Such as finding unspent bullets from a crashed world war two plane in the hills above his house and putting them on the open fire before beating a swift retreat. Sadly, as often happens, his exploits have not translated well to my written page and another story, using the house as back drop, is slowly, painfully slowly, emerging. This has nothing at all to do with a second novel I should be working on. Which probably says it all as far as organisation of my writing day goes. Breakfast is a quiet affair in our house, newspapers, correspondence and a bottomless pot of coffee, Today, however was different. Just as we prepared to broach the coffeepot, a bright yellow digger came. Snowdonia is craggy. Immense boulders left by vast melting ice floes strew hillsides, scattered higgledy-piggledy or levered into place. Some form rough chambers with two standing parallel and one as capstone, thought to be burial mounds or monuments to the sun or moon. No one knows for sure except they are vestiges of ancient times. A local builder of high repute oversaw the operation as the skilful driver first dislodged and then rolled the mammoth to rest flat in the middle of the lawn. Alas no treasure or sign that it once was holy but it remains a huge talking point. There is still a chill wind for May. The sun does not quite penetrate the greening trees and thin cloud but lets enough light for wild flowers to flourish: the purple haze of bluebells above the pinky white of wood sorrel and stitch wort. Wood anemone open like bright stars in the green velvet moss underfoot. Native yellow and orange poppies burst like dappled sunshine against the granite green grey rock. We follow the winding lanes and paths crisscrossing the hamlet of Brithdir. First the Torrent Walk following the beautiful tributary of the River Wnion that runs through Dolgellau, the River Clywedog. In Welsh the path is named for the tributary, Llwybr Clywedog. The torrent falls through the estate of Caerynwch, home to the famous botanist Mary Richards, and is still owned and managed by the Richards family. So beautiful is this torrent, with waterfalls and crystal clear water that the family granted access to the public for all to enjoy. As the path flattens and the river runs on through lush fields there is an old mill house, three stories high, with its footings almost in the fast flowing water. Now a private residence, there is no sign of the wheel but it is testament to the wool trade that flourished here. 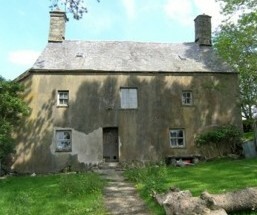 The house still called pandy, the Welsh for a fulling mill. The wool was woven into ‘Welsh cotton,’ as fine and light a material as the name implies and cheap enough to clothe slaves in America. That trade, those slaves all gone. The making of woolen cloth affected the livelihood of more Welsh farmers than any other rural industry. The woven cloth was walked, laden on pack horse, as far as Welshpool where the drapers monopolized trade from the 1560’s till the War of American Independence saw trade for British wool fall off. We divert to see the remains of a furnace, an early smelting works on the edge of a caravan site. The mines in Tabor, now disused, used to send their ore by rail. A sign tells of Quaker influence in the area and of Quaker philanthropists, Fry, Cadbury and Rowntree, chocolate magnates whose business ethos was to reinvest in their industries for the benefit of the lives of their workforce while they themselves lived frugally not lavishly as their wealth and status might dictate. On our way to Y Foel, the dome shaped hill, a climb of nearly a thousand feet, (which we are not looking forward to but in the event do not find hard), we meet a farm hand who has the look of a Welsh man, the pronunciation of soft language shaping his face since birth. One of our party addresses him in Welsh. ‘Bore dda. Mae’n braf heddiw,’ which we can follow. The mountain stream of a reply gushes over most of us, except for Estelle our guide, concerning the newly opened footpath along which we are embarking. Realising we have not understood, the man amicably translates and the sound of rushing water is still in his voice. He is going the same way himself. His job for the day is to mend dry stone-walls before the sheep and lambs are sent out to pasture in the rich high ground, now the weather is warmer. Lambs that are more steady on their feet and have lost their obvious newness. His pace, urgent perhaps because of the work he still has to do, outstrips ours. Soon we can hear the sound of stone on stone as he begins his rebuilding. In the distance too, there is a cuckoo. He could still be seen long after when we had climbed Y Foel and settled on the windy summit to have our lunch, the red check of his work shirt distinguishable against the dun of the peaty landscape. Also visible with a panorama of 360 degrees are the hills and mountains of Meirionnedd. Cadair Idris, Dyffwys,Llawlech, Garn Fach amongst many. Their names: Idris’ Chair, hand of slate, speak of the ancients, their beliefs, their fears, their stories. The inn, the Cross Foxes, looks like a box from this height. It is named in reference to George Fox and the Quakers’ troubled history. Eventually many emigrated to America. Persecuted in their own world they sought refuge in the new, a land of promises and new beginnings, part of William Penn’s vision of the Holy Experiment. They described their new homeland in the wilderness as having a Garden of Eden quality. 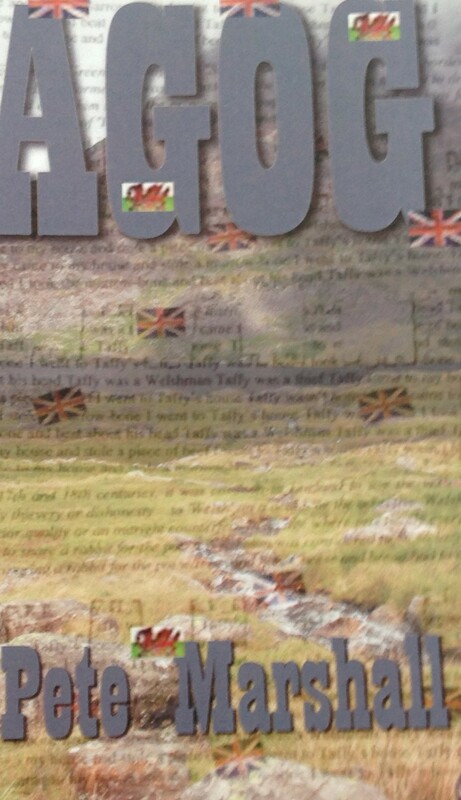 Welsh Quakers formed townships of Meirion, Haverford and Raglan, hoping to establish a Welsh tract, a barony or state within the province, ‘within which all causes, quarrels, crimes and disputes might be tried wholly and determined by officers, magistrates and juries of our language.’ The longing of an exile to hear their mother tongue especially since speaking it in had been forbidden in their own land. And so gently down hill, back to the hamlet of Brithdir and St Mark’s Church, commissioned by the Richards family and built between 1895 and 1898. Henry Wilson, the architect and also a jeweler and a leading figure in the Arts and Crafts movement, wished the church to appear as if it had sprung from the soil instead of being planted down on it. The small graveyard that surrounds the church now overhung with trees and colonized by bats lends to that impression. No longer in use, it is maintained by the Society of The Friends of Friendless Churches and is listed by Cadw because it is ‘a highly important and unaltered work of Henry Wilson.’ The cast copper altar and beaten copper reredos is a rare and beautiful sight. That it is open and we are free to walk in to appreciate is itself a minor miracle. Thinking of the walk on the short drive home I remember the hawk that surprised us, the flash of a red kyte and numerous sightings of smaller birds, enough to further a belief in minor miracles.